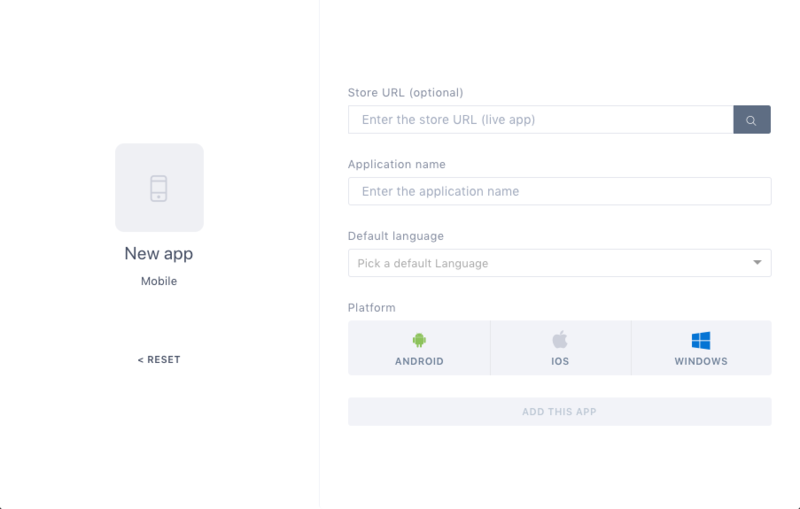 The very first step is to go to Batch's dashboard and create a new Android app. Now let's generate your push keys and put them in Batch's dashboard. 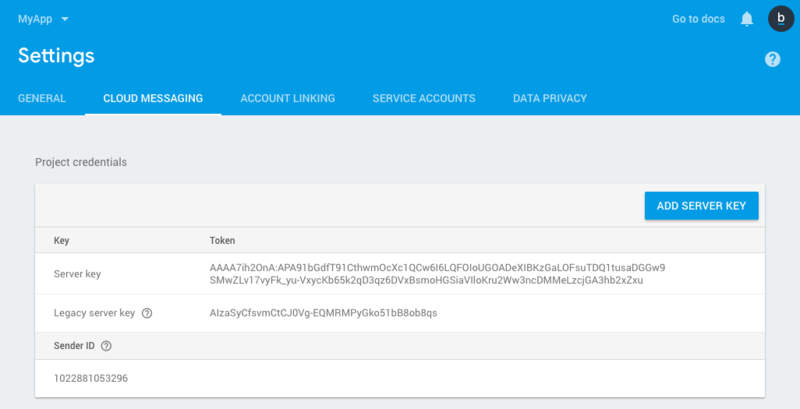 Here are the two steps you need to take to find your Server API Key. 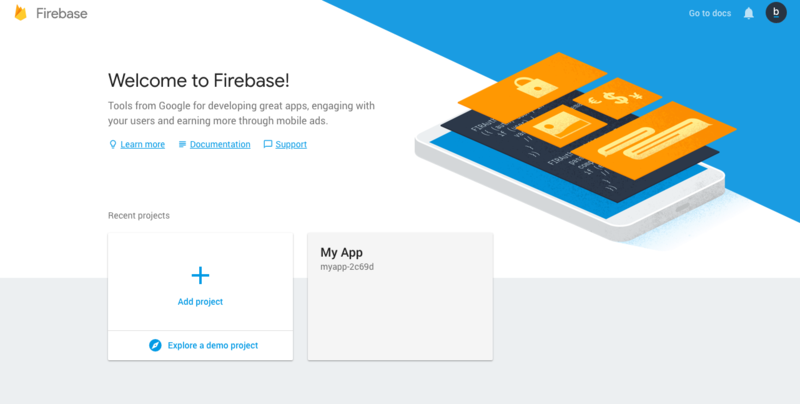 First, go to the Firebase console. Once you are logged in, select your existing project or create a new one. Then, click the ⚙ next to your project name and "Project settings". 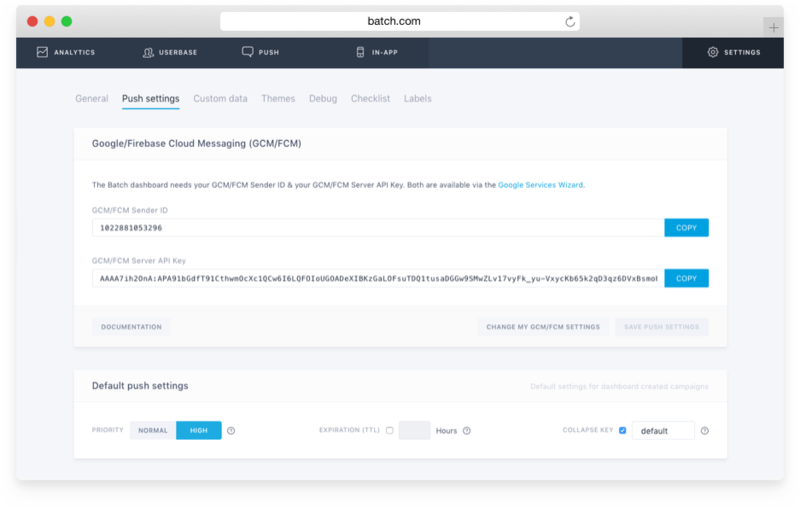 Click the "Cloud Messaging" tab and copy your Server API Key. Important: Make sure you choose an existing project instead of creating a new one if you are migrating from an other push provider. Now go to ⚙ Settings → General on Batch's dashboard. Choose a default language and paste your Server API Key in ⚙️ Settings → Push settings.